Like most independent film producers out there in today’s world, one would have to be reminisced if they did not pay homage to a man who helped shape the direction of independent filmmaking into what it has become today. That man of course was Roger Corman and his indie film studio, New World Pictures which he had formed in 1970. Just a few months ago, I had the pleasure of going to Mr. Corman’s old New World office on San Vicente Blvd. in Brentwood which is now his New Horizons Pictures Corp headquarters. To any typical passerby or even a B-Movie fan, you would never know that a small little two story office building belonged to Roger Corman. There was not even a sign on the building that said New Horizons. My colleague from England and I sat there talking about a particular project to his development executive when this tall old man came out of his office to look around. That was him. Roger Corman! The man who revolutionized low-budget filmmaking. So very prophetic of a statement that has become to legions of independent filmmakers who have learned from Corman’s craft and also a learn lesson to the handful of now-well established actors, writers and directors such as Jack Nicholson, Francis Ford Coppola, Ron Howard, Joe Dante and Martrin Scorsese who came out of the Roger Corman Film School. Corman’s desire to work in the field of motion pictures regardless of all obstacles started in the 1950’s. After a brief stint working for 20th Century Fox, he went out and directed his own films “Swamp Women” in 1955 and “The Little Shop of Horrors” in 1960 which eventually became a cult classic. Corman’s fast paced ability to write, produce and direct movies eventually received the attention of Samuel Z. Arkoff and American International Pictures (AIP) which had really been one of the first major distributors of low-budget B-movies. Adapting a handful of Edgar Allan Poe stories, Corman directed “House of Usher”, “The Pit and the Pendulum” and “The Raven” all starring Vincent Price. The effort paid off. Corman became an established “jack of all trades” in the film industry. By 1969 however Corman was disappointed with distributors handling his films. Leaving AIP, Corman set up New World Pictures, an independent film production company that doubled as a distribution company in 1970. From here, New World rode the wave of exploitation releases throughout the 1970’s and became serious competition for his old boss at AIP. Among a handful of releases included “The Big Bird Cage” starring Pam Grier; “Boxcar Bertha” starring David Carradine; “I Escaped From Devil’s Island” starring Jim Brown and Christopher George; Ron Howard’s “Grand Theft Auto”; “Humanoids of the Deep” starring Vic Morrow and “Galaxy of Terror” starring Eddie Albert and the bio-pic “Capone” starring Ben Gazarra. “Piranha” is probably the most remembered film that Corman was associated with during his time running New World. A “Jaws” clone in style with a dash of humorous tongue-in-cheek, Joe Dante’s tale of carnivorous fish featured an ensemble cast including Bradford Dillman, Kevin McCarthy, Barbara Steele and Keenan Wynn and managed to become New World’s most successful release of 1978. By the early 1980’s the competition in the indie competition had begun to dry up. AIP had become a public company bought by Filmways; Allied Artists had been consolidated and Avco Embassy Pictures had also been merged into a larger conglomerate. New World Pictures remained the only real viable indie studio in the market arena. Corman began seriously considering selling New World Pictures and moving back into the world of producing and directing. His fortune turned bright when in 1983, an investment group consisting of Hollywood attorneys Lawrence L. Kuppin, Harry Evans Sloan and Larry Thompson bought New World from Corman for $16.5 million. Corman retained the existing New World library and agreed to a contract for New World to distribute his films for two years and serve as consultant. Eventually Thompson resigned from the company the following year and Kuppin and Sloan brought in Robert Rehme as CEO who ironically had been New World’s vice president in charge of sales from 1975-1978. Rehme had also just recently left his post as President of Universal Pictures Theatrical Motion Picture Group and wanted to return to independent film. Having also ran Avco Embassy Pictures from 1978-1981, Rehme wanted to apply the same strategy of independent film marketing and distribution at the ‘new’ New World by taking the company public. Corman felt rather uneasy about the indie studio’s new management. Realizing that his films were not getting distributed first exclusively by New World, Corman sued his former company in 1984. New World in turn counter sued accusing Corman of trying to sabotage New World’s public offering. Eventually, they settled out of court. Corman was released from his contract with New World and allowed to exclusively produce his own movies and New World was allowed to move forward with its public offering. Under the new regime of Kuppin, Sloan and Rehme, New World Pictures became a publicly held company and more diversified. 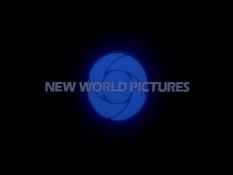 In 1986, the company changed its name to New World Entertainment, reflecting its now many units including New World Pictures, New World International (handling film distribution outside of the U.S.), New World Video (which helped revolutionize ancillary distribution during the VHS boom) and New World Television (which produced several TV shows including the NBC series “Santa Barbara”). That same year the growing company also bought Marvel Comics and Learning Corporation of America. New World substantially maintained the same level of B-movies but with slightly larger budgets: Stephen King’s “Children of the Corn” was the first film released by New World after Corman left the company. As CEO of New World, Robert Rehme declared that indie films could be successful with budgets of under $3 million. For the most part, he was correct. A handful of horror, comedy and sci-fi films were successful: “Black Moon Rising” starring Tommy Lee Jones; “House” starring William Katt; the enormously successful “Hellraiser” films which included its first sequel “Hellbound: Hellraiser II”; “Flowers in the Attic” starring Louise Fletcher; George Romero’s “Creepshow 2” and “Soul Man” starring C. Thomas Howell. But from 1985-1988 while New World released nearly 100 films, most of them were unpopular at the box office, though some of these dismal failures including “Wanted: Dead or Alive” starring Rutger Hauer; “Dead End Drive-In”; “Return to Horror High” which was George Clooney’s debut and Robert Altman’s underrated “Beyond Therapy”, have since developed cult followings. Sadly the ‘new’ New World could not sustain its aggressive ability to market and distribute films, let alone over-expanding far too quickly as a mini-major studio. By 1989, facing major financial setbacks, New World began selling its assets including Marvel Comics and dramatically cut back production and closing its home video division altogether. The same year, Italian financier Giancarlo Parretti which had taken control of New World’s primary competitor at the time Cannon Films, announced that he wanted to buy the company. Instead, New World accepted a much better offer from investor Ronald Perelman for $82.5 million and steered the company into television operations until 1997 when it became a holding company of Rupert Murdoch’s News Corp when the New World name disappeared for good. After New World, Roger Corman started up Concorde/New Horizons Pictures (now simply referred to as New Horizons) which has done a handful of B-movies throughout the 1990’s and 2000’s including “Frankenstein Unbound”, “Carnosaur” and “Death Race” to name a few. His production operation has produced a handful of both film and television product for The Sci-Fi Channel as well… yes, I still refer to it as Sci-Fi, not SyFy! As for Harry Sloan and Robert Rehme? Following New World’s demise, Sloan started a very successful broadcasting company in Europe before coming back to the film industry to run MGM studios from 2005-2009. Rehme went on to became a major Hollywood producer in the 1990’s on films such as the Harrison Ford blockbusters “Patriot Games” and “Clear and Present Danger”. He also served two terms as president of the Academy Awards. It is a shame New World Pictures was not able to fully integrate itself into a major distributor of independent films. It certainly had the potential to continue to grow and prosper much like how New Line Cinema eventually evolved. I often wonder why New World did not receive this opportunity. I think there were two issues. The first being that Roger Corman had formed a very successful distributor of B-movies but that when he left the company, he retained the library and New World already had trouble getting off its feet. Secondly, it seems that Sloan and Rehme may have jumped the gun too quickly when they made New World into a public company. 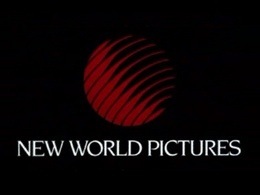 While New World was certainly a busy mini-major with production, television, theatrical and VHS ancillary distribution, I think it is fair to say that they grew the company far too quickly and could not anticipate that New World’s expenses compared to revenues would be greater than projected. And so goes the story of New World Pictures. While the company does not exist anymore, its many movies have formed a growing base of fans who appreciate the level of commitment and passion that Corman put into them, as did Sloan, Kuppin and Rehme. I’ll go on record to say that I’m one of those fans too!